My attempt is to share with you a complex phenomena of the mother-in-law and daughter-in-law relationship that has wreaked and stolen peace from many marriages. While the society portrays the mother-in-law as rude, who cared to hear her side of the story? Here’s my attempt. 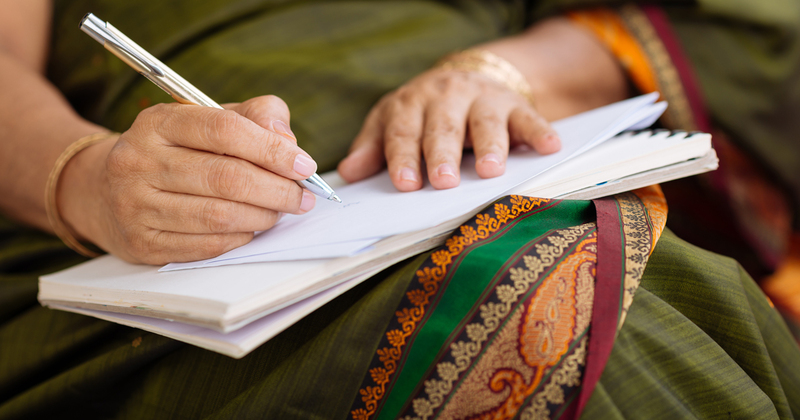 A letter from the Indian Mother-in-law to all the daughter-in-laws. You might have heard the society talk about me. You might have heard about my passive-aggressive behavior. You might have watched the television soap-operas where I am portrayed as intrusive, unfair and notoriously adamant. I am the Indian Mother in law. But before you judge me any further, please hear my story! I was a daughter-in-law too, married when I was barely 20. Tiny little pleasures like going on an evening walk with my husband, shopping my favorite stuff, wearing whatever I like, public display of affection from my husband, were denied to me. Elder’s word was the law in my days. Sacrifice came coupled with marriage. I never had the satisfaction of spending a good amount of time with my own parents and siblings after my wedding day. I have sacrificed my career, independence and countless desires. I spent about 2 decades doing the same old house-hold chores and raising children..! My whole world and only source of strength are my children. To the world, I may appear a little jealous; but deep down, I am only scared and insecure. To the world, I may appear as dominating; but deep down, I only take hold of things only to lessen your burden. To the world, I may appear as intrusive; but deep down, I am actually protective and concerned for you. To the world, I may appear as stiff and stubborn; but please don’t judge a book by its cover. I am willing to adapt. To the world, I may give the as an emotional bomb; but I am in my fifties and suffering from menopause. To the world, I may appear obsessive of your husband; but deep down, its the motherly instinct that nature gave me. To the world, I may appear as a nagging old woman; but I want you to help you with things around. I may spoil your kids a little bit with chocolate and toys; but its my expression of affection to kids. I am doing it all out of love. But my dear, if you find anything irksome, please tell me. I know you have your own way of running things. If you don’t like anything I do, let me know. Although we both are from different backgrounds, I will put my all possible effort to understand you and take care of you. It may take a little time, so please be a little patient. It takes time to grow into a level of mutual understanding and friendship. But I am not an irresponsible mother-in-law. My child, please don’t think I am competing with you for my son. Trust me, I am not the terrible 1960’s mother-in-law. I want to see you all blooming and happy. I’m so excited for you to experience the overwhelming feelings of love, the bond of marriage and the joy of uniting with your beloved. Love is a powerful thing. You are about to start a great journey together with your husband. You have given me the pleasure of becoming a mother-in-law, (and eventually) a grand mother. You have taken the responsibility of loving my son unconditionally. I can’t me more thankful to you! My dear child, as a last word of the letter, I want to tell you that my son is my biggest weakness and my biggest strength. Being away from him is my biggest misery. I know you are the most important woman of his life now, but please… be considerate of the fact that I am still his mother. What to do your husband is too close to his mom? Are you grateful to your mother in law? Very nicely depicted feelings of a sincere mother.in.law. Newly married and recently married girls/ladies should read this to understand better the inner feelings of their MIL….. Unfortunately, that’s the thought-process of Indian mother-in-laws! Personally, I am a daughter-in-law and I have seen how heavily Indian moms depend on their sons..! Having sacrificed their lives so much, they consider their sons as an emotional investment. The mil have spent as much time n money on her child (yr husband )just as your mother has done on you. As much as you respect yr mum n expect her dil to look after her so should you. Wonderful thoughts ND well expressed . This is really good one.. but apart from these.. why do many mother in laws lie to their sons? who are worshipped as goddesses by their sons, why they want to know everything between son and daughter in law, why they want to run son’s family, make decisions even they are miles away on the other side world. why don’t they give chance to new couple to learn things… may be it is managing but some times is very frustrating. Daughter in laws come with lot of expectations to make her space and this is never happening.. not even in future generations. I am glad if it changes but it will never change.. it is just not in India.. its every where in the world where ever there is a daughter and mother in law relation ship. This letter pours out all the emotions of being a mother-in-law, but the possessiveness is still evident. Consider the daughter-in-law’s mother. She is also a mother-in-law to her son-in-law, and giving her daughter to another man. The son-in-law might be decent, behave good or have bad habits like smoking, drinking, flirting. Can a daughter’s mother raise a single voice to ‘correct’ her son-in-law? She may have to watch all these silently and still revere the son-in-law with the hope that he may give up these bad habits ‘one fine day’. It is the insecurity of the son’s mother that starts out all the problems between the mother-in-law and daughter-in-law. If the relationship has to be like a dream, adjustment has to come from both sides. A mother-in-law has to give time and space to the new daughter-in-law who is making baby steps into a new family with the feelings of insecurity in her mind. She cannot pour out her tales of sacrifices and woes of bringing up her son to her daughter-in-law all the time, which happens with many families. Those sacrifices and woes a daughter’s mother would also have undergone. I am an expecting mother and can understand the feeling of immense love towards my would be son/daughter. But I feel a son when grown up and married with kids has their own life, wife and responsibilities. Wife is a life partner so definitely is and should be the most important person in husband’s life. As a mother what I can expect is love from my son, daughter-in-law and grand children. I have my own share of husband’s love, kids moment and family life and so should my daughter-in-law have. A mother-in-law should not intrude in the personal space of couple or dominate with her decisions over them. I mean come-on, you lead you life, with misery or with liberty was your choice, and she need to understand that the next generation is smarter and more well planned so your decisions should come as a suggestion and not as a final say. I being a daughter-in-law can understand the gaps and problems and being a would-be mother can see from both the perspectives and can just say do not intrude, nag or show you have more control on your son than his wife..let me enjoy their lives and you enjoy too as a mother. The more space you give, the more respect you will get. Well said .I read this to my daughter , as she is going to get married this November . May be an indirect advice . Its realy true she is also a another women like you,try to make her friend, try her to be best friend, she is really very alone, belive me your life will be easy. I really appreciate the person who has written this. But I really cant stop myself from asking 1 question..
everything that you have written down for your SON? Why dont you feel the same for your DAUGHTER? When I got married 35 years ago my mother in law was the typical typecast of one but once I got to know her we established a warm bond of mutual affection. I definitely did not agree with everything she did but I avoided drama by rising above it. Now I am a MIL myself I understand how hard it must have been for her so my attitude towards my DIL is to be warm and accepting and let them forge their relationship with faith and love and I will be part of their lives as a visiting grandma. Love that role do much!! Dear Mam, An intriguing post from a MIL. While I really appreciate ur views as a MIL, pls allow me to express my views (as a DIL). True, no one can replace a mother. Comparing mother’s love and dil’s love is absurd. Mother is naturally a well wisher of the son, afterall its a khoon ka rishta. But if there is any person who is a bigger well wisher other than the parents, it has to be his wife. Afterall, he is the only one whom she depends emotionally. With due respect, pls learn to let go and interfere beyond a limit. You all lived your life your way. You made a choice to live it that way. Let us make our choices and live our way. Mil-dil relationship is a very delicate one, plz let her get accustomed to her new ways and demand less from her. Make her comfortable. Dont think of her as an insider and someone who has just entered this house. Love her and treat her good enough that she loves you back. Only in India is a mil called maaji. Plzz earn that place in your dil’s life. Then WILL come…love, peace !